We had a great start to the 2018-2019 school year and are very proud of our students, staff, and administration. We are still excited about the technology initiatives we rolled-out last year. Students in grades 6-12, as many of you know, have been given a Chromebook to use at school and home. Teaching with Chromebooks has grown in our district organically over time, making it possible for students to use open source content on the web that is often more current than textbooks. In Google Classroom students also learn to do research, create presentations, create calendars, crunch data and collaborate with their teachers and peers on these devices. We will continue our efforts to also teach internet safety throughout the school year. For more information about our One to One Initiative, including a Chromebook Handbook and Frequently Asked Questions, please click HERE to view technology information on the Gahanna-Jefferson Schools website. Even more information about this initiative can be found in the following This Week Community News article: Chromebooks to foster connection in education. After meeting with over 700 teachers, parents, students and community members, we finalized our Gahanna-Jefferson Schools: Vision, Mission, and Beliefs. When you have a chance, please take a look at it in the link below. We believe students come first and that our schools are stronger when we connect with our community in real and tangible ways. We are looking forward to a great 2018-2019. 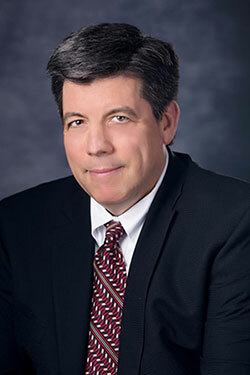 If you have any questions or concerns, please email me at barretts@gjps.org or call me at (614) 478-5533. 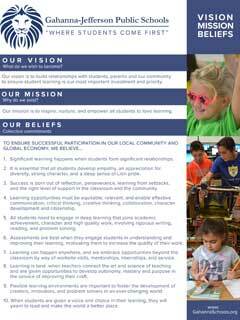 Please view our entire Vision, Mission, and Beliefs (PDF). 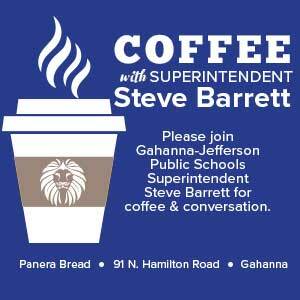 Please join us in 2018-19 for these Coffee Chats with Superintendent Steve Barrett. The Gahanna-Jefferson community places a high value on education and expects its schools to prepare students for success beyond the classroom. A well-rounded education goes beyond standardized tests, which is primarily what the Ohio Department of Education (ODE) measures with the annual school report cards. The purpose of this Quality Profile is to provide a complete story of how our schools perform in the areas that matter most to the Gahanna-Jefferson community.